Hello! 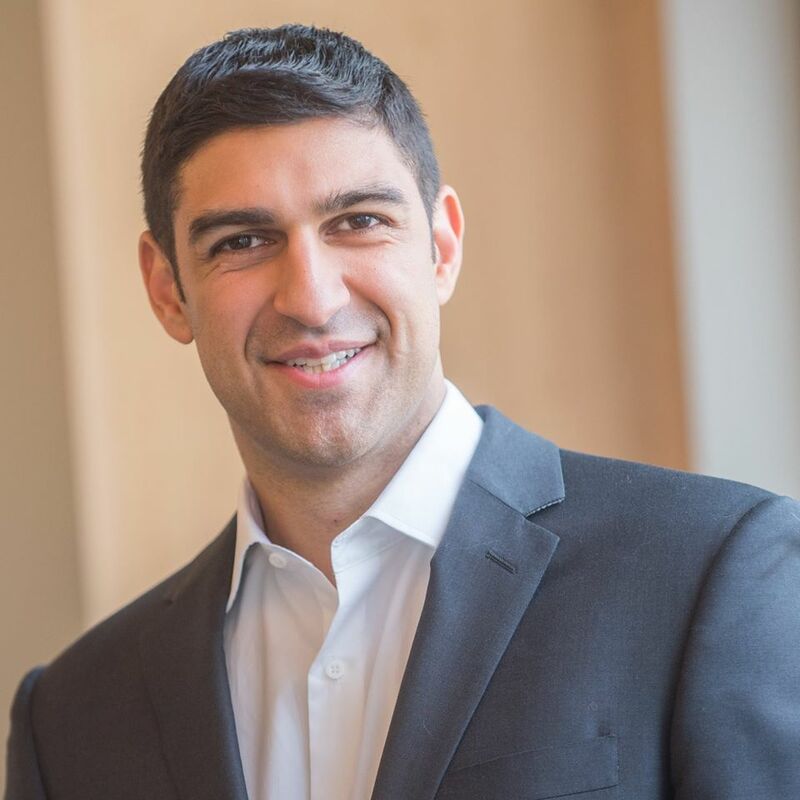 I'm Nadir Vissanjy and I work at Lyft as their Strategy Manager for Healthcare, Government & Education Partnerships. As some of you may know, our rideshare app connects passengers who need a ride with drivers who have a car. Lyft originally launched in 2012 and we now operate in over 200 cities throughout the United States. In my role, I focus on strategy for partnerships with publicly funded agencies. I've been with the company for about 1.5 years now and I love it! It's a really great place to work and email has been an integral part of my workflow here. Honestly, I check my email a little too often. I'm always on the computer - even in between meetings - and I would say that email is pretty omnipresent. I do use other forms of communication (such as Google Hangouts) but at the end of the day, everything always comes back to email. I usually start my work day off with my inbox. I like to get to the office around 5:15 AM so that I can think and work on my heavier emails when nobody else is at the office. That way I can get some peace and really focus on the tasks at hand. Before Boomerang, which is a sad notion to think about these days, I had to create calendar invites to myself to remind me about certain events and tasks! This was a part of my daily to-do list with other notes so that I could ensure that I wasn't missing anything important. Back in those days, I was also anxious about losing emails or not following up with folks in regards to specific messages. It was really challenging and it wasn't ideal to feel like I was potentially dropping something. At my work, we utilize a variety of G Suite products. For document sharing, we'll typically rely on Google Drive especially Google Docs and Google Sheets. Personally, I find myself using Google Calendar pretty extensively to manage my day to day schedule. Overall, I'd estimate that around 90% of my work lives on a Google product. And of course, we use G Suite to handle our email as well. I really like having G Suite mail because it's light, portable (syncs well with other devices), and it's not as clunky as other email platforms can be. I first discovered Boomerang through a post on Lifehacker way back in the day. I even still have an old email message that I sent to a friend on December 2011 raving about Boomerang, "This is what i use, I swear by this!" It's become such an integral part of my inbox that I honestly feel like I've been using Boomerang for a decade now and it's strange to think that it's actually only been about five years. Overall, I've found Boomerang to be an easy to use product within G Suite mail and it's been cool to see how you guys have grown and improved the extension over the years. A lot of my coworkers at Lyft use Boomerang as well! For example, I work closely with our sales team and I would say that about 3/4 of them have Boomerang installed. I definitely think that your Gmail extension has helped all of us become more productive, especially in regards to how we follow up on email messages now with both internal and external correspondences. I treat my emails like a project where every single message is a to-do item for me. I try to block out certain hours of the day to focus on email and I'll use Boomerang to return messages to my inbox at a specified time when I know I'll be able to properly tackle that particular message. Boomerang allows my inbox to function as a priority list where whatever ten messages are there becomes the ten things that I need to focus on for my day without having to worry about other emails that are coming in (because I can just schedule them to return at a better time). I'd estimate that I schedule about 80% of my emails to come back to my inbox at a later time. I also schedule about ten emails to Send Later each week. I like to use Send Later to deliver emails to myself as reminders. If I know that I'm going to be in a meeting tomorrow and there's something that I have specific questions about, I'll schedule a Send Later email to remind me right before the meeting happens. I also like to use Send Later in my personal life - for example, if I know that a friend is expecting a child, I'll send myself an email a week before the due date so that I can remember to check up on them. Overall, I try to use Send Later as a way to help me remember to reach out to folks especially during important events. At Lyft, we work with a lot of different partners and they all have different timelines. Some of them are already sprinting to the finish line in regards to a partnership, while some of them (we call them discoveries) are just starting to learn more about Lyft's capabilities for their space. For these discoveries, it's been very helpful to be able to schedule their emails to return to the inbox in about 3-4 months as a reminder to check in with them. That consistent follow up allows us to always be present with them and to keep Lyft in their mind. Boomerang has been a really great tool to help me manage my priorities. For example, I also have recurring messages scheduled to remind me to perform tasks that happen on a regular basis (such as doing my reimbursements on Friday mornings). I like to be on top of things and unfortunately, as my responsibilities increase, it has been hard to keep it all in my head. Being able to move all this information from my brain to my inbox with Boomerang makes life easier. "I like to be on top of things and unfortunately, as my responsibilities increase, it has been hard to keep it all in my head. Being able to move all this information from my brain to my inbox with Boomerang makes life easier." "Boomerang allows my inbox to function as a priority list where whatever ten messages are there becomes the ten things that I need to focus on for my day without having to worry about other emails that are coming in (because I can just schedule them to return at a better time)."